Prepare! The Peaceful Army is officially marching into your territory in 2019. Greta Van Fleet has officially announced dates for a world tour beginning in January. The tour is in support of the band’s debut album Anthem of the Peaceful Army set for release October 19. Their world tour kicks off in Sydney, Australia on January 29 followed by dates in Europe, the UK and North America through June. Just four kids from the small town of Frankemuth, Michigan, Greta Van Fleet is Josh Kiszka on vocals and twin brother Jake Kiszka on guitar, both 22, younger brother Sam on bass and keys, 19, and Danny Wagner, also 19 on drums. The group sparked attention in March of 2017 with their debut single “Highway Tune”, sounding a lot like a certain 1970’s rock band. Agree or disagree on where the band borrows influence from, a GVF concert is an experience that would be regrettable to miss. 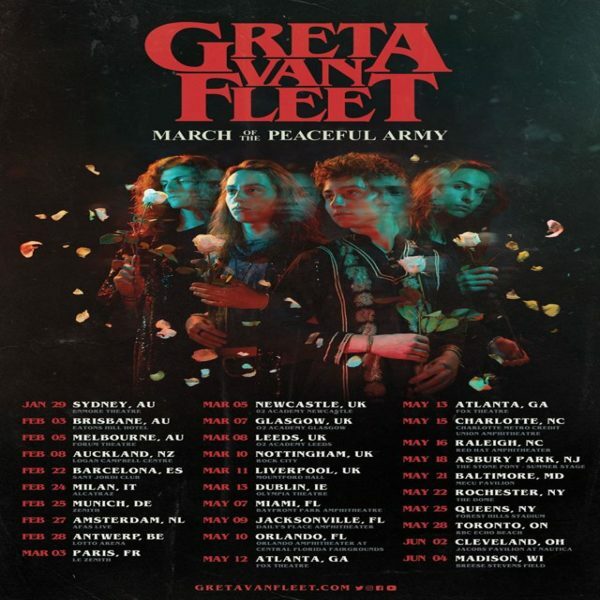 With their energetic fusion of rock, blues and soul Greta Van Fleet attracts a diverse crowd of all ages from teenie-boppers to baby-boomers bridging the generational gap between music lovers, uniting everyone in peace, love and harmony. “Highway Tune” stayed at the #1 position on the U.S. Rock Radio charts for five consecutive weeks and fans have been eagerly awaiting Anthem of the Peaceful Army. In August they released the video for “When the Curtain Falls”. 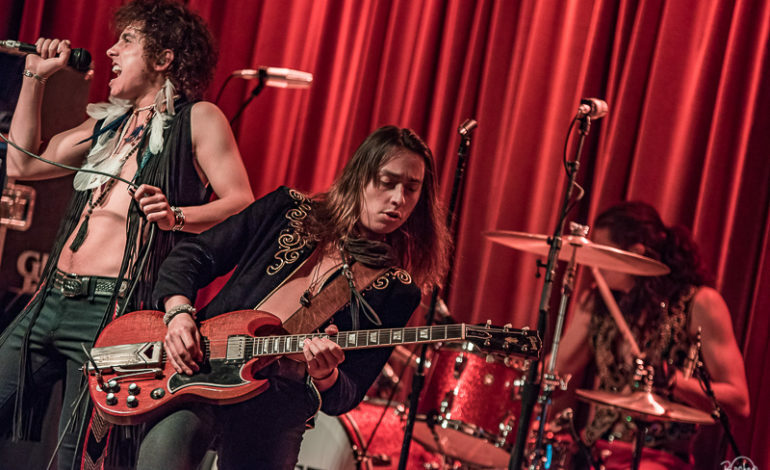 These young and eccentric musicians have been keeping busy, still wrapping up a nearly sold out 2018 world tour and it looks like things are only going up from here for Greta Van Fleet as they transition right into the next. Confirmed dates are outlined below with more to be announced.